Provide comfort for the family of Eldon Turner with a meaningful gesture of sympathy. Eldon Turner passed away peacefully at Rockwood Terrrace, Durham in the early morning hours of Feb. 1,2019. Eldon Lindsay Turner was born on September 10th, 1934 in the former Artemesia Township, son of the late Oliver and Mary Alice “Mamie” (Magee) Turner. Dearly loved and forever missed by his wife of nearly 64 years, Iowna (Alcox) whom he married on May 14, 1955. Loved dearly by his children Lynne Turner (Cliff Hastie) of Mount Forest, Jayne (Don)Mulligan of Flesherton, Gwen Turner (Brian March) of Owen Sound, Anne Turner (Peter McLaughlin) Of Johnville New Brunswick and Brent (Cathy) Turner of Durham. LovIng grandpa to Chris Mulligan of Flesherton, Brad (Lisa)Mulligan of Markdale, Mike (Crystal)Turner of Neustadt and Kim (John)Giancos of Lake Rosalind. Also missed by great-grandchildren Jacob and Emily Mulligan, Blake, Lucan and Avery Turner, Bailey and Turner Giancos and Larissa Scott Miller. Predeceased by his brothers Harold (Evelyn) Turner, Doug Turner and sister Evelyn (Aubrey) McDonald. Survived by sister-in-law Muriel Turner of Shelburne as well as Iowna’s family Doreen and Bob Tuck of Bognor, Ruth McInnis (late George) of Oakville, Joe Allison (late Leona) of Markdale, Maryon and Jack Hunter of Shelburne, and the late Bill Alcox, as well as many nieces and nephews. Eldon grew up and farmed on the farm, founded by his grandfather, now in the area designated as Turner’s Hill, until taking a job as custodian at Beavercrest Elementary Scool in Markdale. He enjoyed picking apples in the Beaver Valley and was a voracious reader. He had an avid interest in antique and vintage airplanes and also enjoyed restoring antique cars and trucks. He and Iowna loved to travel, but his true joy was in his family. 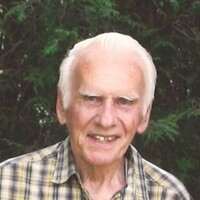 To send flowers in memory of Eldon Lindsay Turner, please visit our Heartfelt Sympathies Store. Provide comfort for the family of Eldon Lindsay Turner by sending flowers. To All the family, sorry to hear about your dad, condolences from Barb Wright and family! Enjoyed our visits, he always had a smile. He will be missed. To Anne, Peter & all the Turner family: We are very sorry for your loss. Hope being together as a family will bring some comfort at such a sad time. Love & hugs.